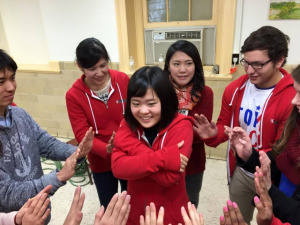 The Building the TOMODACHI Generation Program, a two-week program which brings together Japanese and American college students to Washington, DC with support from the Washington Center and the USJI (U.S.-Japan Research Institute), concluded successfully on February 28, 2015. Starting on February 14, thirty five students participated in this program (20 Japanese and 15 American college students). 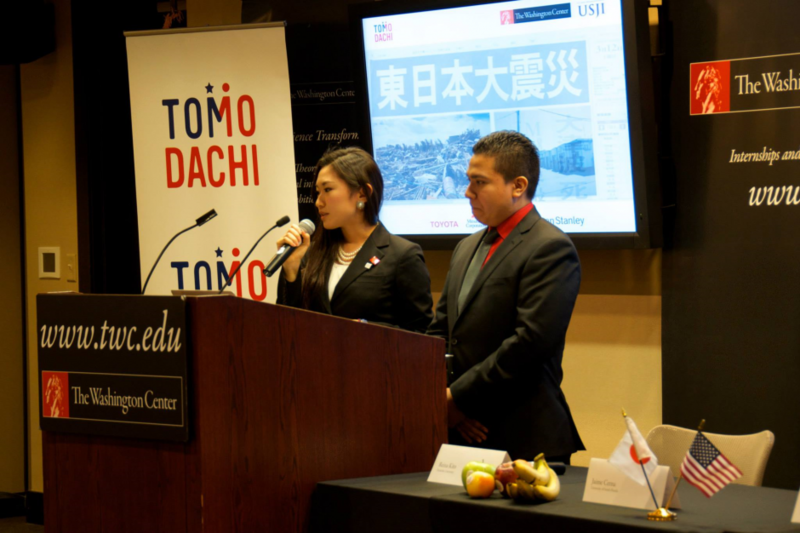 The students took part in team-building exercises, attended lectures and discussions, and met with U.S.-Japan Council members, TOMODACHI sponsors and guests at several exclusive events. As a conclusion of the program, on February 27, the students took part in a group presentation competition. The participants were divided into five teams and were tasked with developing and presenting an idea for a project that addresses a specific need or issue for the people in the Tohoku region. Projects ranged from cross-generational community gardens in Ishinomaki and small gardens for orphanages, to training for young entrepreneurs in Miyagi. Teams Fuku Mirai (Happy Future) and Itadaki (Above the Clouds) were awarded the top prize for: their educational programs on post-traumatic stress disorder in Iwate and Miyagi (Fuku Mirai) and digital education program for seniors in Rikuzentakata (Itadaki). 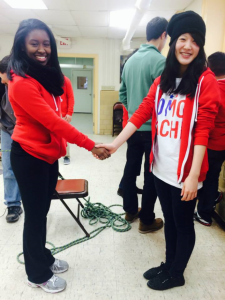 Japanese students and American counterpart truly became TOMODACHI, the word symbolizes a strong bond between two nations which cannot be simply translated as ‘friendship’. “We cannot end our relationship once we get back to our lives. We have to stay connected and keep in touch because I believe by doing so, this relationship will foster and grow. After 10 or 20 years, we will still be TOMODACHI and that is what makes this people-to-people connection precious,” said Ryan Gandolfo, a participant from the University of South Florida. 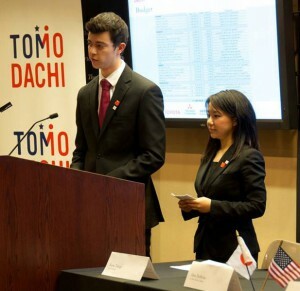 American students of the two winning teams will travel to Japan this summer, visiting Tohoku to participate in community and service projects. This program is generously supported by Toyota Motor Corporation, Mitsubishi Corporation and Hitachi, Ltd. through the TOMODACHI Fund for Exchanges, as well as by Morgan Stanley.